alaska_again@yahoo.com Cash, check Direct from farm. Willing to host farm tours, located at 7445 Jamestown Court, Salcha AK 99714. Peonies, honey, rhodiola. omendrw@hotmail.com Cash By appointment only, grocery stores. Year round availability. Quail eggs, chicken eggs, honey. Facebook: 907 Livestock cash, check, cc 7 mile, Chena Hot Springs Road Homegrown by Heros. Certified cattle and swine, artificial insemination, livestock judging. Hosts farm tours, can coordinate with bush individuals and communities to ship livestock and products to bush. Direct to institution. Direct to Farm. Year round. Chickens: eggs, meat. Cash, check Direct from farm, by appointment only. Will ship to bush (through post office only), year round availability, located at 5413 Remington Road, Delta Junction, AK 99737. Products. Facebook: Midnight Sun Greenhouse cash, check, credit card Direct from farm, by appointment, direct to restaurants. Willing to host farm tours, year-round availability. Vegetable and flower starts, canned pickles. Facebook: Timohovich Farms LLC cash, check By appointment only. Located at Mile 317.5 Parks Highway, Nenana, AK 99760. Potatoes. barley brownie mix, barley cookie mix. Facebook: Alpenglow Farm Kennels cash, check, cc Direct From Farm, By Appointment, Direct to Restaurants, Institutions, Grocery, Schools, Distributors. Hosts farm tours. Hay is analyzed. Sheep: fiber, meat, breeding. www.arcticqiviut.com cash, check, cc There is a list of retailers on my website that sell my Qiviut products. To retail shops and Designers. Grocery stores Agritourism. 4.4 Mile Chena Hot Spring Road, 1.5 Miles ESRO Road. Granola and roasted chilies. Carrots. www.arcticalaskapeonies.com All sales via the Arctic Alaska Peonies Cooperative. Alaska Grown herbs. Available in gift boxes and bowl sets. 2.5 Mile Tanana Loop Rd. WIC Also sell at Fairbanks School Garden Sites. Facebook: Chatanika Peony cash, check, cc Direct from Farm, Direct to grocery stores. Tanana Valley Farmers Market. Wholesale Rates. We deliver locally in Fairbanks and North Pole flowers, potted plants - perennials. Direct To Restaurant and schools Located at mile 276 Parks Highway, Tatlanika Giftshop. Hosts farm tours. chard, collard greens, green onions, kale, lettuce, peas, potatoes, radishes, spinach, turnips, kohlrabi, beets, bok choy, broccoli, brussel sprouts, cabbage, carrots. akjimblack@gmail.com cash, check Direct from farm, by appointment. Hay and sheep products available year round (meat, wool, breeding animals). Bison hunts, Sheep: breeding, meat, fiber. Grass hay. Sheep for breeding, meat and wool. Ram studs available to breed your ewe. 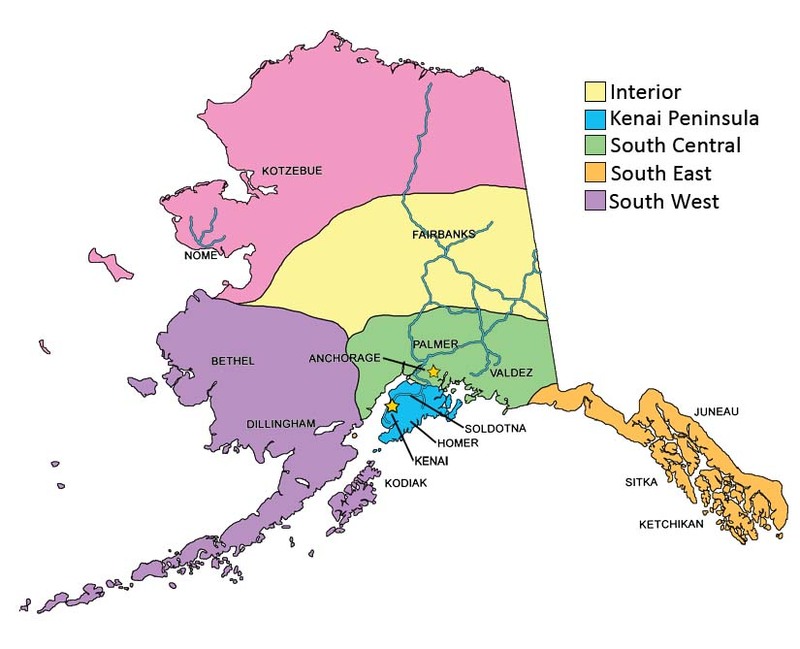 Retail Also Sell through nurseries in Alaska. www.agsd.us Tomatoes, cucumbers, various greens, peppers, melons, strawberries, herbs, carrots, and potatoes. cc, SFMNP, SNAP/QUEST, WIC Tanana Valley Farmers Market, Farm stand, Direct from Farm, By appointment only, Direct to restaurants, Direct to institutions, Direct to grocery stores, Direct to schools.Wholesale rates. Ships to bush. We grow our vegetables without the use of synthetic fertilizers, pesticides, herbicides or fungicides. We don't use single use plastic agricultural products at all on our farm. Beans, Beets, Bok Choy, Broccoli, Cabbage, Carrots, Cauliflower, Chard, Collard Greens, Green Onions, Kale, Lettuce, Onions, Parsnips, Peas, Potatoes, Radishes, Rutabaga, Spinach, Turnips, Zucchini, Cilantro, Dill, Salad turnips, gourmet salad mix, spicy greens, romanesco, golden beets, candy stripe beets, baby kale. Facebook: Hawks Greenhouse cash, check, cc Direct from farm, Tanana Valley Farmers Market. Wholesale Rates. Ships to bush. Beans, Cucumbers, Kale, Peppers, Potatoes, Tomatoes, Zucchini, Ornamental and vegetative bedding plants, compost, fertilizer, flower bulbs and seed, flowering baskets, flowers, peonies, annual and perennial potted plants, potting soil, seed potatoes. Organic gardening supplies and beneficials. Arctic Alaska Peony Coop Offering small-scale grown pesticides-free flowers and produce. Fresh cut peonies shipped world wide in July and August, available through www.arcticalaskapeonies.com. Small-scale Pesticide Free Peonies and Produce: peonies (white, blush, pink, fuschia and red), apples (five varieties), cherries, red rhubarb, carrots (purple and orange), broccoli, cabbage (red and green), cauliflower (white, Romanesco, orange, purple), sugar snap peas, beans (green, tri-color and dried), squash (summer and winter), kale (three varieties), lettuce, herbs, beets, various cut flowers. 2072 Tanana Loop Ext. Rd. Grocery stores Compost is composted manure. moosecrkfarm@hotmail.com cash, check Direct From Farm Rhubarb, Asparagus, Currants, Haskap Berries (Honeyberries), Raspberries, Service berries, Strawberries, Cows: Beef, meat. Pig: meat. Landscape trees. www.pickledalaska49.com Cash, check, cc Farm stand, Direct from farm, by appointment only. Tanana Valley Farmers market beans, beets, carrots, cauliflower, cucumbers, garlic, onions, peppers, squash, tomatoes, zucchini, asparagus, qual eggs (fresh & pickled). All items are pickled. WIC Community Supported Agriculture program serves Eielson Air Force Base and North Pole and Heart Stream Yoga in Fairbanks. Wholesale only for sale. Please email for information and availability. Direct From Farm, By Appointment, CSA, Direct to Restaurant, Direct to Grocery stores, Direct to schools, Direct to institutions, Ships to bush Beans, Beets, Bok Choy, Broccoli, Brussel Sprouts, Cabbage, Carrots, Cauliflower, Chard, Collard Greens, Kale, Kohlrabi, Lettuce, Peas, Potatoes, Pumpkins, Rutabaga, Squash, Turnips, Basil, Dill, Mint, Oregano, Parsley, Sage, Honey. Fairbanks, AK 99709 cash, check Ester Park Market, Tanana Valley Farmers Market, The Southside Community Market. Direct from Farm. Direct to Distributors. By mail. Wholesale rates. Ships to Bush, Year round availability of turnips, potatoes and other winter crops. Sells seeds at feed store and greenhouses. Beets, cabbage, carrots, chard, cucumber, green onions, kale, kohlrabi, lettuce, onions, peas, peppers, potatoes, pumpkins, radishes, rhubarb, rutabaga, squash, tomatoes, turnips, zucchini, chamomile, cilantro, dill, parsley. Vegetable seeds. Vegetative bedding plants. Flower seed, annual and perennial potted plants. Seed Potatoes. Native trees and shrubs: Birch, spruce, willow, etc. Non-native trees: pines, siberian larch. spinachcreek@gci.net cash, check, SFMNP, WIC/FMNP CSA, Tanana Valley Farmers Market Beans, Beets, Bok Choy, Broccoli, Brussel Sprouts, Cabbage, Carrots, Cauliflower, Chard, Cucumbers, Green Onions, Kale, Kohlrabi, Lettuce, Onions, Parsnips, Peas, Peppers, Potatoes, Pumpkins, Radishes, Rhubarb, Spinach, Squash, Tomatoes, Turnips, Zucchini, Basil, Fennel, Flowering Baskets.